Welcome to the official #1 clubbing and events guide for Malia. 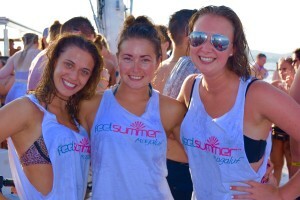 Leading the way in the supply of summer events tickets - feelsummer offers a first class service were you and your friends can securely reserve your Malia event tickets Online. Remember Malia is a very popular clubbing resorts so make sure you don’t miss out and reserve your Malia event tickets today. Malia attracts thousands of young and vibrant party goers every year so our aim is to provide you with as much information as possible - helping you have that ultimate Malia experience of a life time. With our team of ex holiday reps we know the resort well, including both the night life of Malia and all of Malia’s Crazy Hotels and Events. 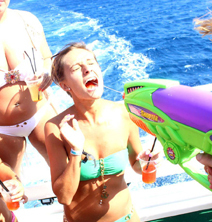 Get all the latest info on all the best Malia Bars, Malia Clubs, Malia Events and Malia Booze Cruises. Make sure to also check out Malia’s official Events Calendar 2017 – here you can see what DJ’s, Celebrities and World famous Malia Events are being held whilst you and your friends are in Malia this summer. Get ready for Malia 2017. Fancy working in Malia for summer 2017? Read our mini guide and apply today. From Malia Job info to workers accommodation. Apply today for the summer of a life time. So you've decided Malia for summer 2017. Now you need to decide where to stay? Read our Hotel review guide and you'll see what we consider to be the top 5 hotels to stay in Malia. Never been to Malia before? Don't worry Feelsummer have put together a short introduction / Malia crash course so you know what to expect before arriving in Malia for summer 2017.